The critical health challenges of our day transcend disciplines. Our ability to address them depends on health professionals working collaboratively to bring our combined experiences, expertise, and knowledge to bear on the questions of our time. The Faculty of Health and Social Development assumes its responsibilities at the centre of dialogue and activity, leading an ethical approach to creating positive changes in well-being. This is an exciting time for us at the Faculty of Health and Social Development. We are advancing our reputation by building on strong foundations in health research. Our strengths—including our interdisciplinary approach—drive us forward. Our collaborative faculties and leadership work together to support training our graduates to find answers to questions that improve the health and well-being for the communities we serve: regionally, nationally, and internationally. Our people—students, staff, faculty, alumni, and community—bring full force to our strategic priorities so that together we are building a faculty recognized for stimulating positive change. We are consistently working to invest in infrastructure that supports a top class student experience. Our talented, capable, and motivated graduates are the best evidence of these investments. I invite you to join our work. We have developed this website to help you in furthering your career as a health professional by providing information about the schools and programs of the faculty. Please explore our site to learn more about who we are and what we do. Transformative student learning is provided through outstanding teaching and research, enriched educational experiences, and rewarding campus life. 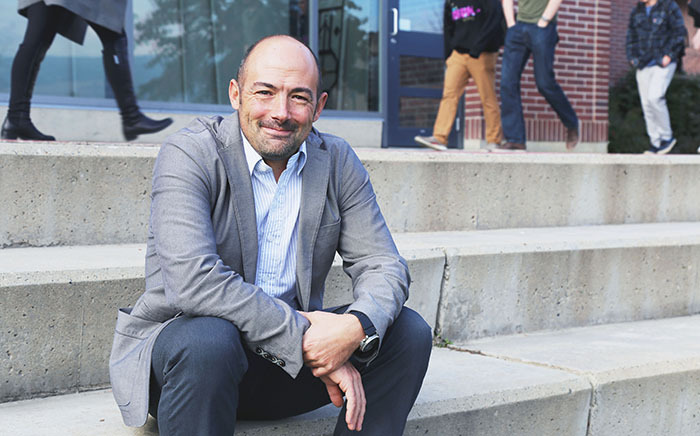 On UBC’s Okanagan campus, students join an intimate learning community where open dialogue reaches across disciplines and departments, cultivating bold new ways of thinking. UBC Okanagan is a bold campus creating opportunity. Our campus is a young and distinctive learning community earning international recognition for excellence in research and teaching. Our campus is a model for new ways of thinking about interdisciplinary and innovative programs. We provide students with a university experience that is transformative, challenging and competitive. We are committed to scholarship that drives economic, social, and cultural change. A community focused on regional engagement, with a global perspective. Close ties with business and organizations in the Okanagan and around the world empower our students, researchers, and community partners to create exciting opportunities for student learning, innovation and knowledge creation.